In today’s Herald Sun, Andrew Bolt points out that on Tuesday Malcolm Turnbull “gave a ludicrously generous endorsement to Liberal turncoat Julia Banks, the MP now running as an independent against Liberal Health Minister Greg Hunt” and rightly describes this and other actions by Turnbull as “treachery” which however many journalists have failed to so characterize (see Turnbull’s Party Betrayal Must Be Called Out). Followed a new “Vote Tony Out” Instagram campaign against Tony Abbott re-election in Warringah. Bond concludes that Turnbull “just wants the Liberals to lose” and yet “Morrison is too scared to take on Turnbull publicly”. Bolt is far from being the only commentator who is critical of Turnbull’s behavior from the viewpoint of the Liberal Party. An article in The Australian on 6 Feb, jointly authored by Greg Brown and National Affairs Editor Simon Benson, reports that “Liberal Party federal president Nick Greiner criticized Mr Turnbull for suggesting in an interview that Ms Banks was an ‘outstanding parliamentarian’. 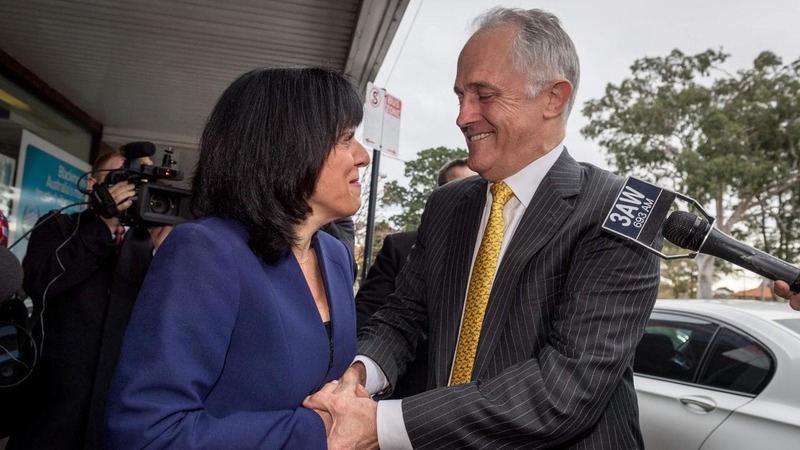 Mr Greiner, a former NSW premier who was the former prime minister’s pick for party president, said Mr Turnbull should “follow his own advice” about the behaviour of former prime ministers after they leave politics” (see Greiner Criticizes Turnbull). One day in the near future Liberal President Greiner may be asked to support a motion to expel Turnbull. Janet Albrechtsen is another liberal commentator who has been extremely critical of Turnbull’s behavior. In an important article in The Australian on 6 Feb she correctly claimed that “last week, Malcolm Turnbull was further marked down in ­senior government circles as the culprit who has one final act in Australian politics: to bring down the Morrison government and destro­y those who tossed him out for being a poor prime minister last year, using his totemic issue of ­demanding further action on ­climate change”( see Albrechtsen Exposes Turnbull). Albrechtsen also points out that “Turnbull’s political history points to a man who burns people who thwart his ambition. Following the 2007 election, when Brendan Nelson beat Turnbull for the leadership, Turnbull wasted no time in tearing Nelson down”. Nelson’s chief of staff, Peter Hendy, ­told a Fairfax journalist that “Turnbull told me that my job was to get Brendan to resign in the next few weeks ­because Brendan was hopeless and he would damage the Liberal brand so much that by the time he, Turnbull, took over, the next ­election would no longer be winnabl­e. Turnbull said much the same to Nelson”. As to Banks herself, the following picture accompanying Albrechtsen’s digitalized article itself tells its own story. Her false claim to have “unfinished business” on climate change ­action is reflected in what she told the ABC’s Rafael Epstein, viz that ‘we should meet or exceed the Paris targets’. “That was news to Jane Hume, a Victorian Liberal MP who once supported Banks but said she had never heard Banks raise such matters on climate change in the party room. A new-found conviction then? Maybe one assisted by her good friend, the former PM, and his son”. There is much more that could be said about Turnbull’s character and ruthlessness. John Stone has had a number of articles published pointing out that, for a variety of reasons, he was totally unsuited to be head of the Liberal party. Most of these were re-published in my Commentary now on my web. The most important policy implication now is that the revelations cited above provide an opportunity for the Morrison government not to say publicly that Turnbull is no longer accepted as a Liberal but to say that some of the policies adopted by Turnbull have been reviewed and are being improved. Morrison should not be “scared” to take on Turnbull, as Bolt suggests he is. The Coalition should say that they now judge themselves more likely to be accepted by the electorate than present polling suggests by making an updating in some policy areas. This requires a change in what is the most important “political” policy for the election, viz climate change. In particular, the policy being developed by Energy Minister Taylor should include a departure from the Paris Accord by eliminating or at least reducing Australia’s targets for reducing carbon emissions and also reducing the renewable target. Morrison should also strongly reaffirm the other main policy, viz that on border controls and on immigration policy generally including a major reduction. This appears to be mainly (but not entirely) on track (see Morrison Will Vote Against Bill On Medical Treatment). With the resumption of Parliament next week these changes in policy, and their explanations, should be settled before then.